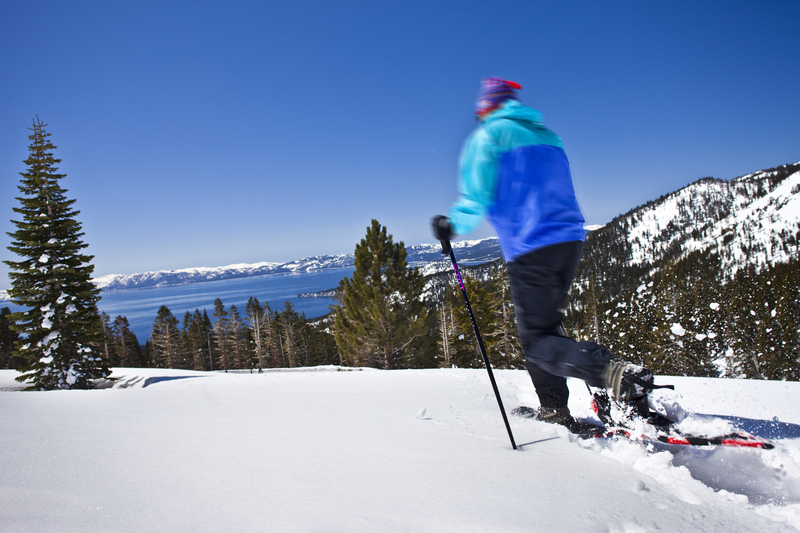 There’s a reason nordic skiers flock to North Tahoe during the cold winter months. Whether resort or backcountry trails are your calling, North Lake Tahoe’s mountains deliver unmatched snowpack, pristine trails and nirvana views to those in pursuit of cross-country bliss. Beginners and novice skiers alike find camaraderie among the snow-capped mountains. North Tahoe nordic folks are a tight-knit community, just as exuberant for their sport off the trail as they are on it, making the North Tahoe cross-country experience unforgettable. From adrenaline-filled trails, to season deals, top-notch equipment and nordic events, here’s why many call North Tahoe XC King. North Lake Tahoe offers the largest concentration of groomed trails in North America. Some of the country’s most breathtaking views can be found at the likes of Granlibakken Resort, Resort at Squaw Creek Cross Country Center, Royal Gorge, Northstar California and Tahoe Donner, and Tahoe XC. Mark your calendars – opening dates begin in early December. There are also several easily accessible ski parks around North Tahoe. The Tahoe City Winter Sports Park offers a mix of XC, sledding, snowshoeing and ice skating. Or try a membership at Auburn Ski Club to enjoy a variety of benefits, including training groups and passes to regional resorts. Many resorts and ski parks around North Tahoe offer discounted rates to visitors who lock in their season passes early. Purchase a Tahoe XC pass before Nov. 25 for $50 off adult passes and free ski tuning. Royal Gorge is offering unrestricted XC and snowshoeing access to its 6,000 acres, which include eight distinct trail systems and nine warming huts. With numerous carparks located around the region, venturing into the backcountry can be as simple as parking and pushing off. For a deeper venture into the mountains, book with Homewood Snowcat Adventures, which offer guided tours to advanced skiers and riders over 750 acres of perfectly unpolished, untouched terrain. Mark your calendar for the Tahoe XC Ski Swap on Nov. 12, the largest annual ski swap in California, and the best place to stock up your gear for the season. For those mid-season visitors, the Alpenglow Mountain Festival on Feb. 18 is sure to satisfy all of your winter needs, with gear, demos and presentations. Watch or participate in one of the numerous winter races happening around North Lake Tahoe, with events for everyone from beginners to intermediate skiers. Starting in January, check out the Pole, Pedal, Pound Winter Triathlon Race. The fun lasts through early March with The Great Ski Race. New nordic friends await you at the Tahoe XC Ski Season Kickoff Party at Jake’s on Lake, Dec. 4. Or enjoy a moonlight dinner, wine and hot chocolate next to a blazing warm fire at a renowned Tahoe City Full Moon Yurt dinner on Feb. 10 and 11. Local venders, Alpenglow Sports, Tahoe Dave’s and Willard’s Sport Shop, have nordic purchases and rentals covered all winter long. When skiing in the backcountry, it’s always recommended to first take an avalanche class. Check out Sierra Avalanche Center to schedule an informational session. The post 5 Reasons North Tahoe is Cross-Country King appeared first on Go Tahoe North.